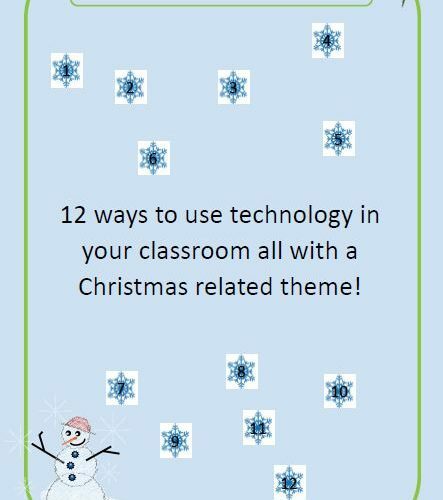 12 Days of Christmas Tech, a guide on how to use technology in the classroom in the run up to Christmas to engage pupils and improve ICT skills. Available to purchase and download now! The activities in this pack look at ways you can use computers to design creative activities for pupils in the run up to Christmas. Use a presentation tool to create an animated greeting card. Plan, design and use animation techniques to create falling snow. Create a Christmas soundscape using audio recording software. Plan, rehearse and improve the poem before sharing with a wider audience. Explore and use the tools within presentation software to create an interactive Advent Calendar. Use effective search techniques to find interesting facts about Christmas. Explore how a Scratch script behaves, tinker and remix an existing project to create an interactive game in Scratch to share with a wider audience and receive feedback. Remix an existing news report. Study the messages within a given media and consider how these can be transmitted to a wider audience through a news report. Gather feedback and understanding from pupils. Review results and reflect on learning. Use technology to enhance and edit an existing image. Share finished results with a wider audience. Learn and use the tools within a text editing program to produce printable media that can be used by others. Design and build a collaborative learning wall in real time. Pupils can add thoughts, information, pictures, audio and images to the wall to combine their thoughts and feedback. Explore and calculate the angles in a regular polygon to design symmetrical snow flake designs and patterns. Collection of 8 themed animation ideas using 2D and/or 3D animation. Plan, storyboard and create animations to share with a wider audience.